Watford welcome West Ham to Vicarage Road Stadium for another unmissable Premier League clash. Will The Hornets achieve victory with the support of their home crowd? 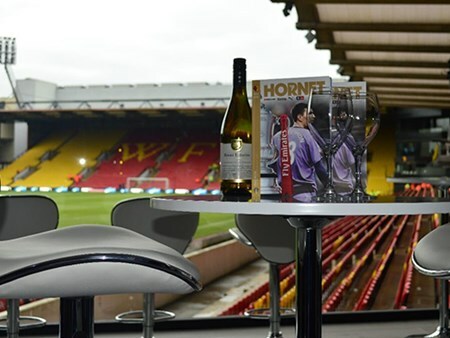 Enquire now and reserve official Watford v West Ham corporate hospitality packages at the Vicarage Road Stadium and join us at this unmissable match for a day of sublime hospitality and VIP seats to witness the action unfold on the pitch. 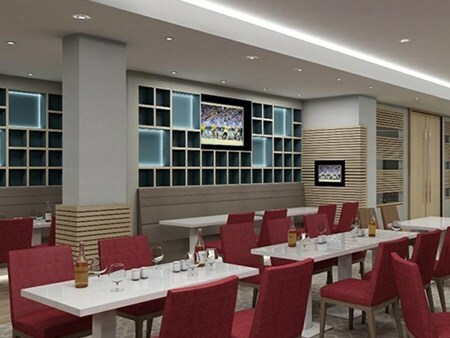 Supporters inside the TV Studio have the unique opportunity to enjoy top-class hospitality in a relaxed, informal style, with theatre style food, your own dedicated chef and complimentary house wine, beer and soft drink. Bookings are available for groups of 15 guests only. *Please note that the TV Studio is available subject to TV broadcasters not needing the lounge. 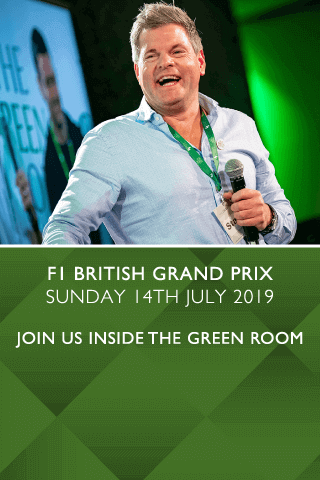 The experience doesn’t end at the final whistle; the man of the match presentation, hosted by England and Watford Legend Luther Blissett, will take place in the lounge, giving guests the opportunity to meet the player. Following this the lounge will stay open late for guests to continue to enjoy the fantastic drink offering and vibrant atmosphere. 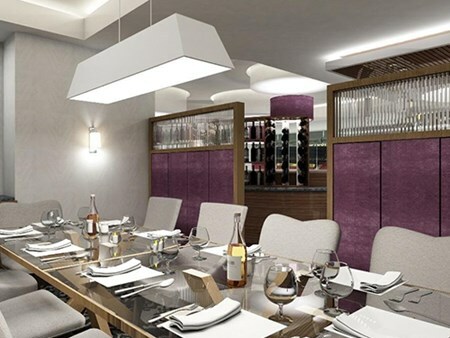 An intimate restaurant area comprising; dining booths, a chefs table and a private dining area all with outstanding pitch views complimented by contemporary and elegant furnishings. The Gallery will offer you a brand new hospitality experience at Vicarage Road. Can't find your favourite Watford v West Ham package?